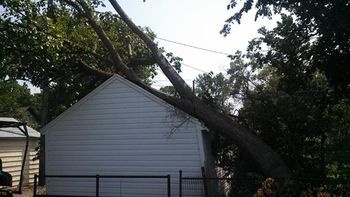 When storm damage occurs and you are looking for a contractor to help you in that critical time, give us a call here at Wilson Custom Tree. We are available to help you in this emergency. We have the equipment and personel ready to help. We can help with insurance claims, (get you the proper estimate that you will need), help with the clean up and most importantly take all stress and worries off of your shoulders. We normally check our email, wilsoncustomtree@outlook.com and our facebook page for any posts or call us at the office (563) 547-4235.